How Widespread is Ross Gelbspan’s Accusation, how Deadly are Core Faults Within it? No need to trust me on this, let your fingers do the internet walking, and let your critical thinking do the analysis. 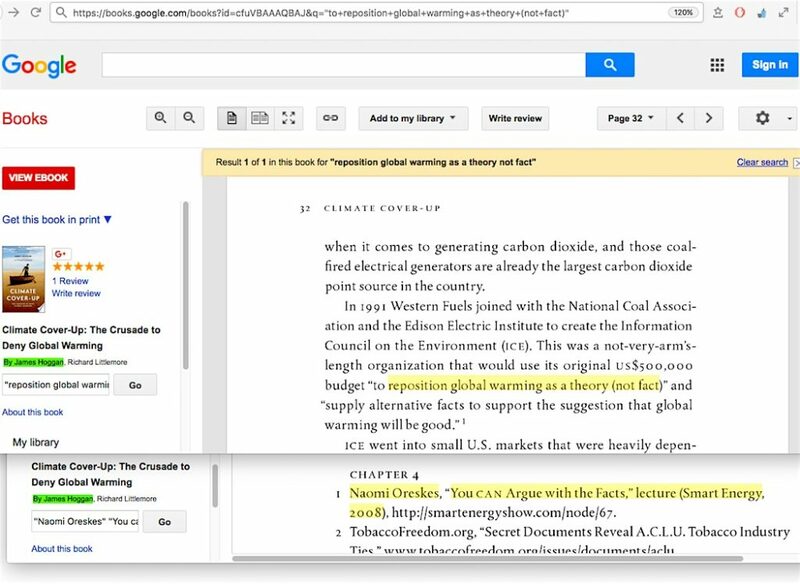 When any prominent person accuses skeptic climate scientists of being paid illicit money to lie to the public and fabricate false science reports, those accusers never show actual physical evidence (full context document scans, undercover video/audio transcripts, leaked emails, money-transfer receipts, etc.) to back up the accusation. The accusers have literally never shown the Western Fuels memo set in its unabridged context, never explained how they were obtained or who specifically was involved in the leak, never delved into statements made by the PR campaign administrators that portions of it were unsolicited and not followed, and the accusers never explained why a partial set in Greenpeace archive document scans have essentially been buried for years from public view. 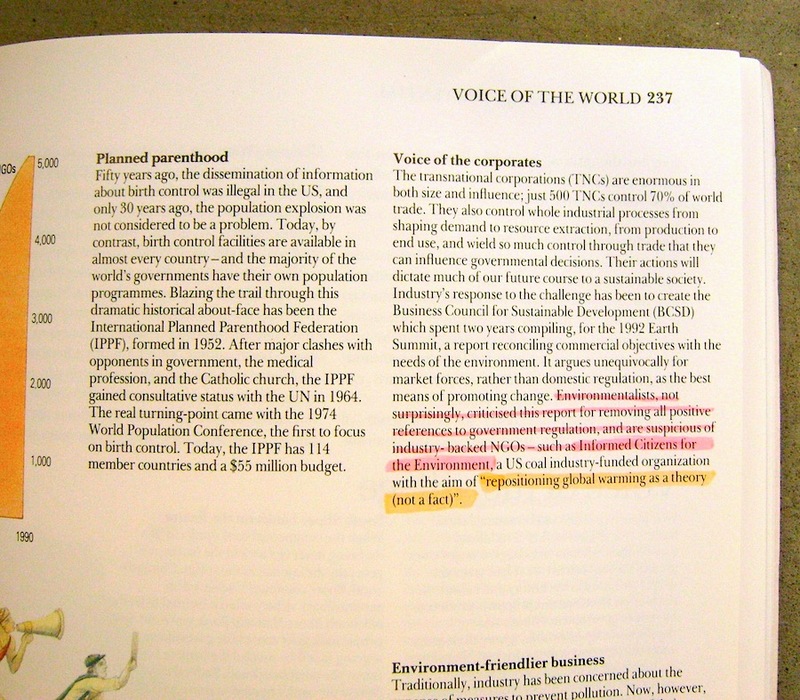 Most important, they have never explained away the appearance of the “reposition global warming” phrase being no more than a common sense guideline suggestion – though awkwardly worded – of the need for demonstrating how assertions about catastrophic man-caused global warming theory are contradicted by science-based observations and detailed assessments about the natural variability of climate. 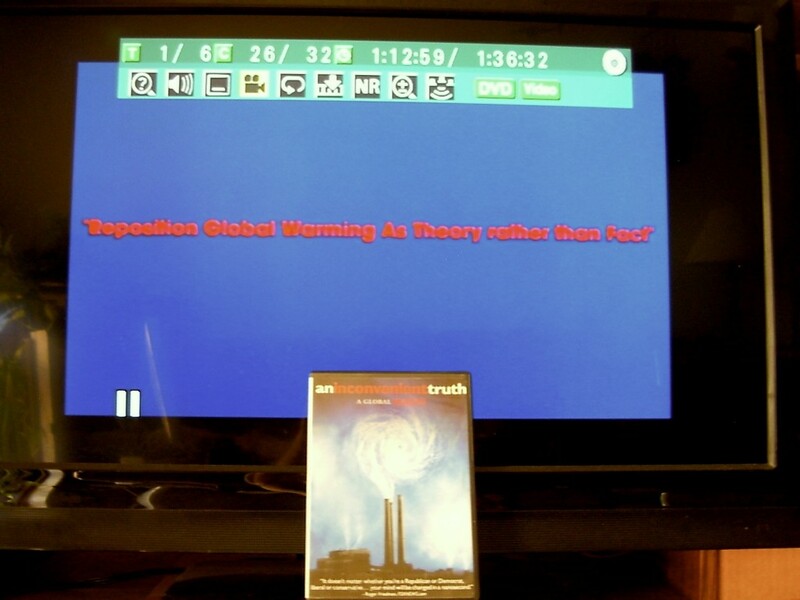 So, when I say the “reposition global warming” phrase is all those accusers have, I’m not kidding. 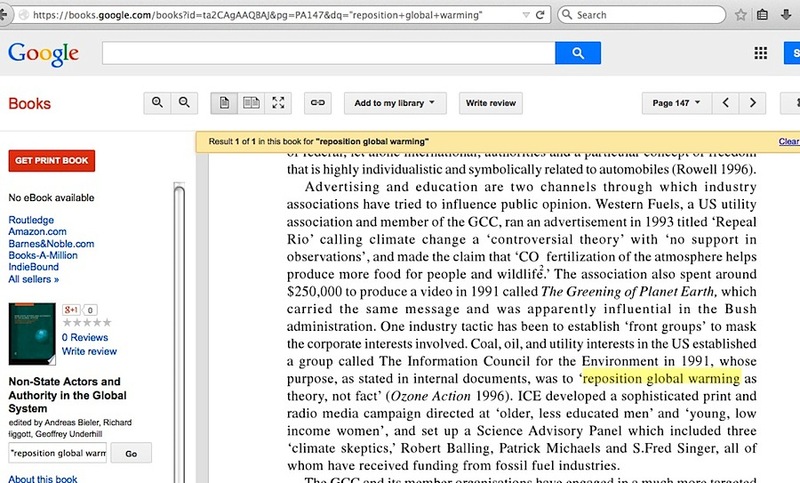 Check out the results for just the first three words of that phrase in results from a Google Books Search. Take some time to click on the various books there, you’ll be taking directly to the book page where the phrase appears, and then you can skim forward or backward to see each author’s context of it. 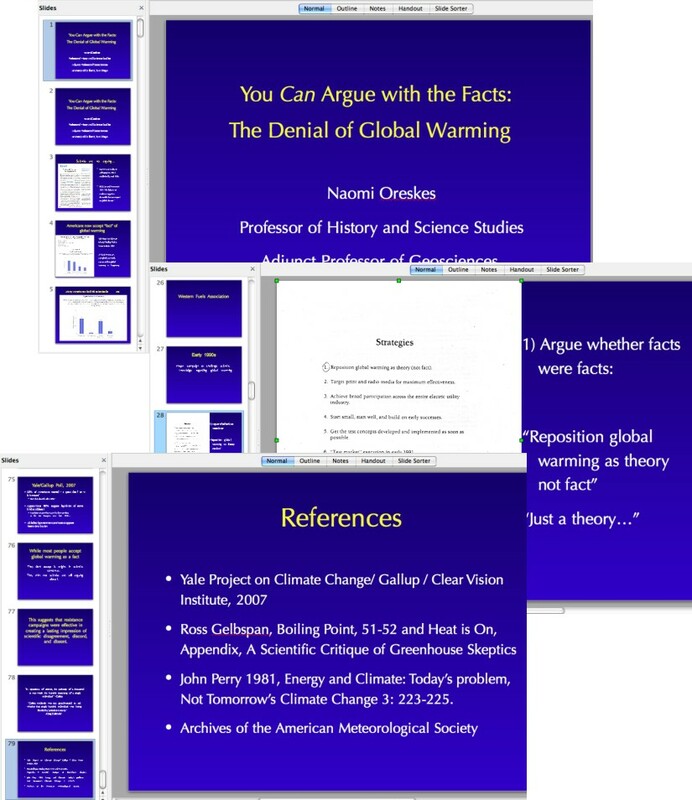 If they don’t refer directly to Gelbspan in relation to the page, they inevitably refer to others separated from him by just a couple of degrees, such as Al Gore (who cites Gelbspan), Naomi Oreskes (who cites Gelbspan, who cites himself), James Hoggan (who cites Oreskes), and Donald Brown, who only adds one more comical level to the citation cascade. Some entertaining exceptions pop up. 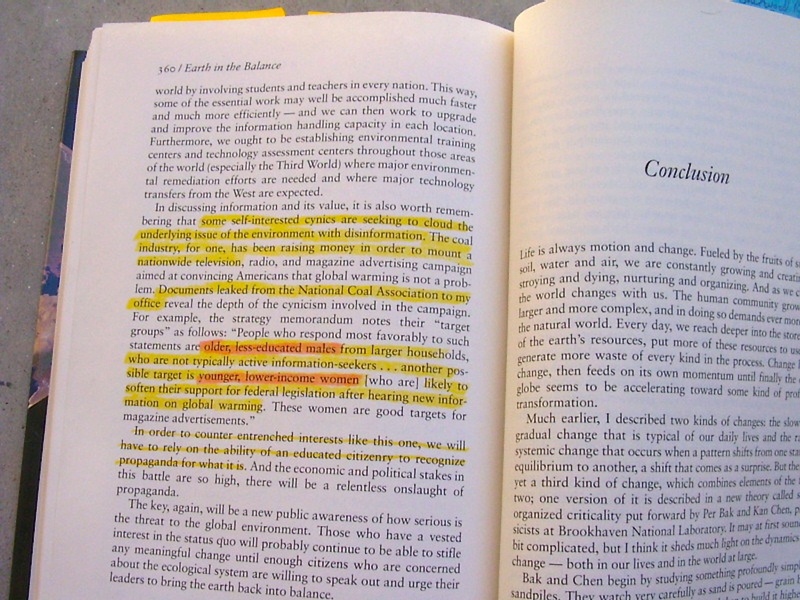 In the “Non-State Actors and Authority in the Global System” book published in 2000, chapter 8 authors David Levy and Daniel Egan cite Ozone Action. 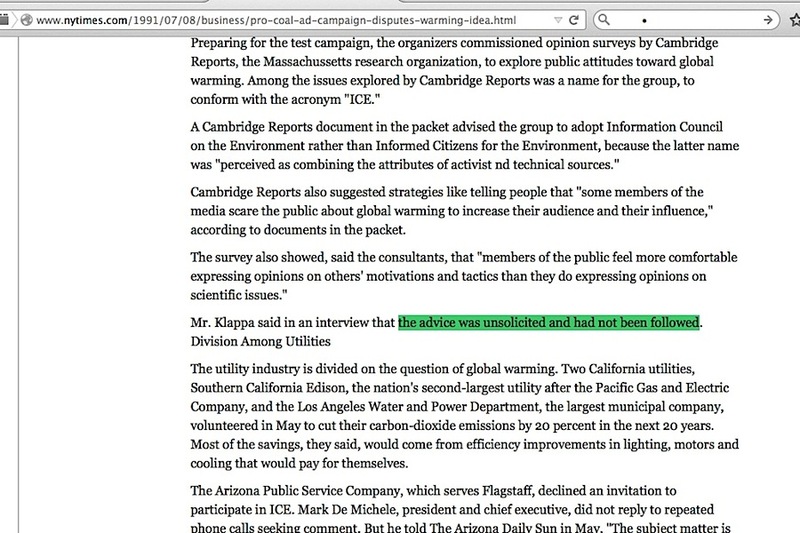 I’ve pointed it out several times within this blog, it is not that simple, it was Ozone Action and Gelbspan….. except it seems “Greenpeace USA née Ozone Action” was not all that willing to share the accolades on every occasion. 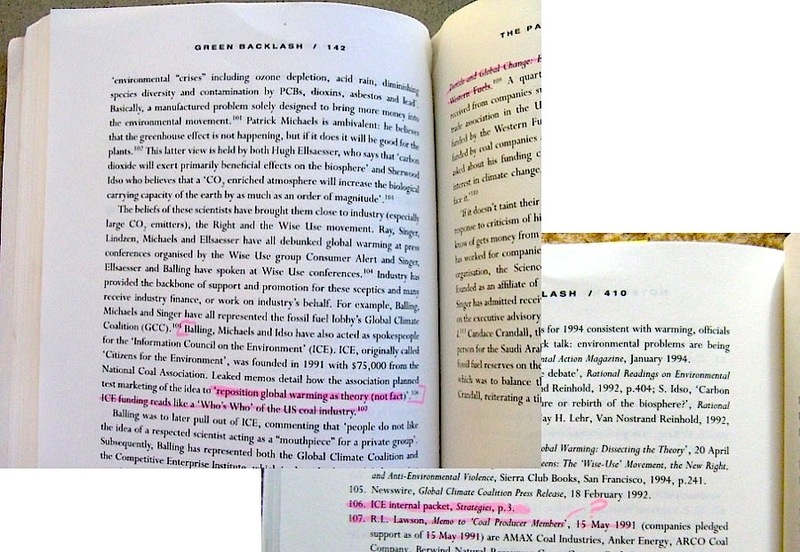 Another entertaining exception is Andrew Rowell’s 1996 book, which was likely in production before or at the same time when Gelbspan and Ozone Action were apparently collaborating with each other. Google Books’s scan of Rowell’s book currently shows nothing, but it previously did, which is what prompted me to get a copy for myself for posterity. Rowell cited the original Western Fuels ICE campaign memos directly, and like all the others, never bothered to show them to his readers. Keep in mind, though, that we have a major collective problem here. 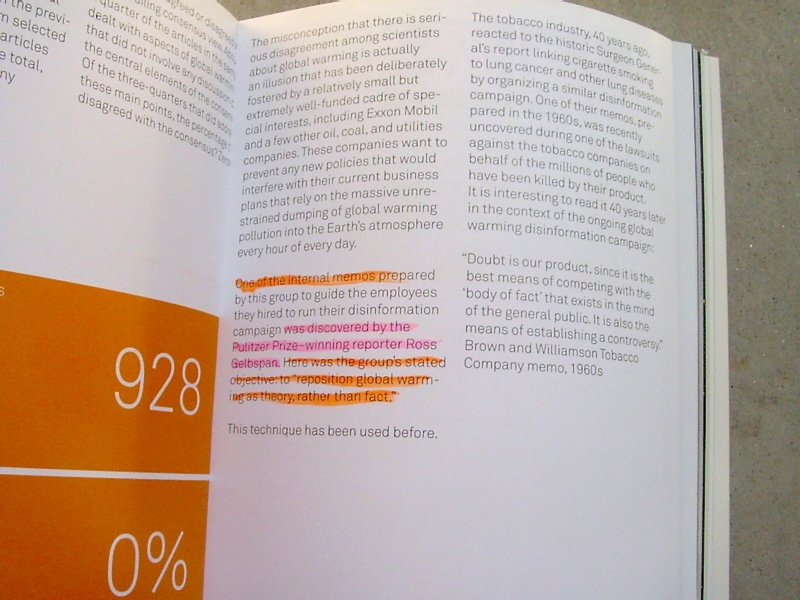 Many prominent people have placed a substantial amount of stock over a very long period of time in the value of a practically unknown and very short public relations campaign from 1991 (around half of its 5-month length involved behind-the-scenes polling research) as proof of a widespread sinister collaboration between industry officials and skeptic climate scientists, when objective comprehension of the ICE campaign memos’ content and the sketchy details surrounding them begs for a thorough investigation of whether enviro-activists knowingly exploited them to manufacture doubt about skeptic climate scientists integrity. Considering how worthless the ICE memos were from the start as evidence of a sinister conspiracy, why anyone go through the effort to leak them in the first place, and then continue to promote them? 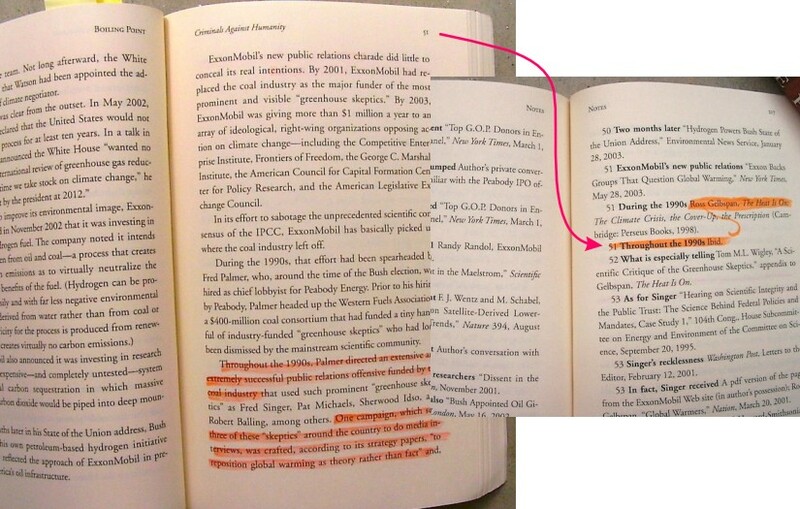 Al Gore’s 1992 “Earth in the Balance” book quoted from the ICE memos back when he was still just a sitting Senator, and he did so again in his 2006 movie when he was a former Vice President. Was he spectacularly oblivious to the sheer weakness of the memos as proof of a conspiracy, or did he become enslaved them because no other evidence could be used to indict skeptic climate scientists in the court of public opinion? And what assurance can he offer the public that any part of his accusation against skeptic climate scientists is not based on portions of ICE campaign ‘documents’ that Western Fuels never solicited and did not follow? 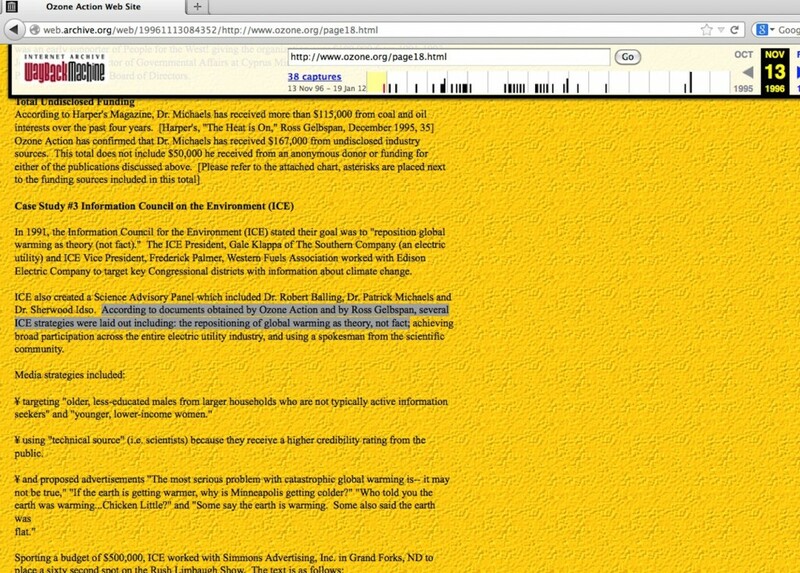 This entry was posted in Citation Cascade and tagged Al Gore, Western Fuels Association by Russell Cook. Bookmark the permalink.